Out name is not something we choose, it is typically bestowed upon us by our parents. 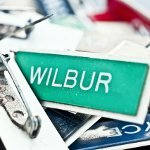 Many people actually like their names, but not everyone is lucky to be given the name they like. Some people don't like their names because they are actually weird and hard to pronounce, and some are displeased with their names for no particular reason. If you are one of those people who don't like their birth name, you can use Get a Different Name day as an opportunity to change your name to whatever you wish. You don't have to change your name legally; you can just notify your family and friends about your new name and expect them to so address you. It can be your middle name or a completely different name. Or you can follow the example of Stiles Stilinski from the MTV series Teen Wolf and use a nickname instead of your real name. Unlike many other unofficial holidays, Get a Different Name Day is copyrighted. It is one of the so-called Wellcat Holidays created by Ruth and Tom Roy, the founders of wellcat.com.